10) Ballet Shoes by Noel Streatfeild: I started dancing when I was 5-years old and it’s been a huge part of my life ever since. My parents were dancers and I followed in their footsteps. As a child I wanted to be a ballerina too, but was told I was too tall so never got the opportunity to find out if I would have been any good at it. I really related to this book in a big way and although I haven’t read it for more years than I care to remember, the enjoyment of it has always stayed with me. 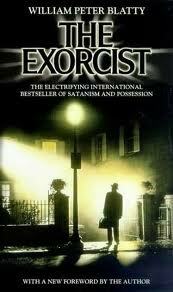 9) The Exorcist by William Peter Blatty: As a teenager, I was into horror and anything paranormal and this book gave me both. I read it when I was in my early teens and it scared the crap out of me, so much so I wore a cross to bed for the next month! Funnily enough, I had the same reaction when I saw the film (under age of course, lol). But whatever way you slice it, this book is powerfully written and scary as hell. 8) Salem’s Lot by Stephen King: Ahhh, my first encounter with vampires. This book drew me in to a new world and was responsible for my burgeoning fascination with vampires. Since reading Salem’s Lot, I’ve read a whole host of other vampire novels since (The Vampire Lestat by Anne Rice is another favourite, but didn’t quite make my top ten) and still do for that matter; I even write about them! 7) Kane & Abel by Jeffrey Archer: This, along with the sequels The Prodigal Daughter and Shall We Tell The President (2nd version) are firm favourites. The stories are very well written and I really enjoyed them. 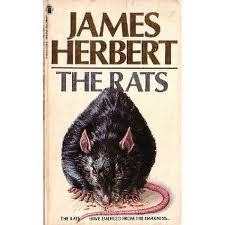 6) The Rats by James Herbert: (Along with Lair, Domain and The City, the rest of the books in the series). There are several reasons why I like this series, but the main two are, they had a ring of believability to them, and I knew some of the places mentioned. As I’m British and my first job when I left school was in the city of London, I used the Underground on a daily basis. These books fed my love of horror/fantasy! 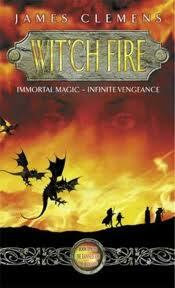 5) Wit’ch Fire by James Clemens (The Banned and The Banished series): For me, this is a great fantasy series. I found myself rooting for the main protagonist all the way through. It contained most of the elements you find in a great fantasy series and I didn’t want to put them down once I’d started them! 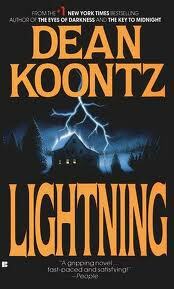 4) Lightning by Dean Koontz: I haven’t enjoyed all of Dean Koontz’s books, but there were a few memorable ones. Lightning was, for me, the best of them. I think it contained a great concept, was gripping and I enjoyed it so much I’ve read it several times over the years! 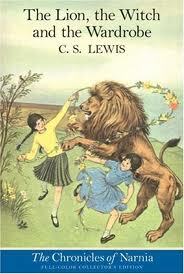 3) The Lion, The Witch & The Wardrobe by C S Lewis: It’s funny, but for some reason I never actually got around to reading the rest of the books in the series, something I still plan to rectify! Although my love of fantasy ultimately began with the fairy stories of Hans Christian Andersen and The Brothers Grimm, this amazing story further fuelled that love and remains a firm favourite even now. 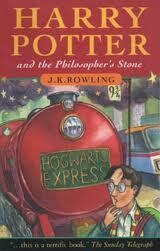 2) Harry Potter & The Philosopher’s Stone (Sorcerer’s Stone in the US) by J K Rowling: With great characters, Hogwarts and the wonderful creatures she created, what’s not love to love about this series. It’s fabulous escapism, the stories are great and the climax is amazing. 1) Breaking Dawn by Stephenie Meyer: I don’t care if I hear a few groans from the audience, this is my favourite book! I thoroughly enjoyed all of the Twilight books, but this final one gripped me more than any other book I’ve read and I didn’t want to put it down until I’d finished it. The other big plus for me was it had vampires in it. I enjoyed Stephenie’s new take on vampires and the humanity she gave them. I enjoyed the back story of how the wolf pack came to be and how the synergy changed between them and the vampires throughout the four books. I think the saga will stand the test of time; they may never become ‘classics’, but I don’t care – it’s still my No. 1! I have to admit, narrowing my huge list of favourite books down to just ten was a major task and one that’s taken me several days. Just outside of my top ten were books by Sidney Sheldon, Dan Brown, Alison DeLuca, Anne Rice, Terry Brooks, Raymond E Feist and David Eddings. Ok, now it’s your turn. What are your top ten books and why? Care to share? This entry was posted in Uncategorized and tagged Ballet Shoes, books, Breaking Dawn, C S Lewis, Dean Koontz, Harry Potter, J K Rowling, James Clemens, James Herbert, Jeffrey Archer, Kane & Abel, Lightning, Noel Streatfeild, Salem's Lot, Stephen King, Stephenie Meyer, The Exorcist, The Lion The Witch and The Wardrobe, The Rats, Twilight, William Peter Blatty by Carlie M A Cullen. Bookmark the permalink. Soooo hard! I could double this list easily and be no where near all my favourites. Ballet Shoes – snap! 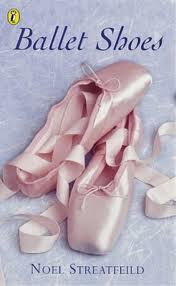 My mother was an exhibition ice skater and my grandmother an opera singer: performing is in my blood! Modesty Blaise – Peter O’Donnell. I always wanted to be a spy and she was such a strong, independant and resourceful character. The Quiller Memorandum – Adam Hall. Spies again, and written in such an intense style that gets you right inside the character’s head. The Silver Brumby – Elyne Mitchell. Totally human free; stories about wild horses told from the horse’s POV. Delicious for a budding equestrienne. The Lion, the Witch and the Wardrobe – C S Lewis. Naturally. Dune – Frank Herbert. For me this will always be one of the greatest SF books ever; the scope and imagination is just breathtaking. I, Robot – Isaac Asimov. Another stunning work of imagination and impeccably worked out logic. The Wizard of Earthsea – Ursula Le Guin. A truly enthralling and scary tale of magic gone awry. Dragonfllight – Anne McCaffrey. The first in an amazing world of fantasy stories that turned brilliantly into science fiction as they developed. Succubus Blues – Richelle Mead. My introduction to urban fantasy. I just love Georgina; a succubus with a concience and a wicked dress sense! Interesting list you have there, Deborah. I have to admit there are a couple I’ve never heard of that sound rather interesting – I’ll have to check them out! My daughter has read a number of Richelle Mead books, but I don’t remember seeing that one on her shelf – I’ll have to ask her. Perhaps I should read some of them too. Carlie!!! Now that’s a list my friend. I am a huge Stephen King fan, but I have to admit that I did not read Salem’s Lot – I saw the movie. I remember watching it with my parents, and when the kid in the coffin moved it scared the crap outta me! A few on your list made my top ten as well, and you listed a couple that would have easily made my top 20, including your number one pick. (Don’t judge me people!) Regardless of the criticism that Meyer gets, she can tell a good story. It doesn’t hurt that I love vampires either. While I have read many books by Koontz, Lightning is not among them. I’ll add it to my reading list. 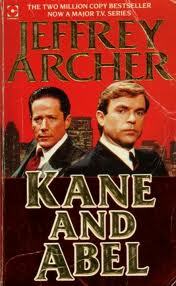 Kane and Abel also sounds like an interesting read. Hey KD!! I enjoy Stephen King books, although there have been one or two that I just didn’t connect with. 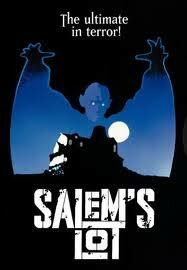 I remember seeing the Salem’s Lot film and it making me jump once or three times, lol. I also like Carrie and Firestarter (which were just outside my top ten). The first time I saw Carrie at the cinema, I must of jumped six feet out of my seat at the end when the hand comes up out of the grave, lmao. Sounds like you & I have more in common than I realised – we both love vampires (YAY!). As far as Koontz is concerned, I do prefer some of his earlier stuff. He was more . . . abandoned/carefree in his creations which made them more enjoyable. There are a few others I really enjoyed: Watchers, Demon Seed, The Funhouse, Hideaway, Shattered and Night Chills. To each their own fav books.. LOL.. i have never read twilight, nor do i think i would ever will. My vampire fav is the vampire diaries. As you say, Jeyna, to each their own! I’ve never read the Vampire Diaries, but I wouldn’t mind giving them a whirl – my daughter really likes them!! Great list, Carlie! The Lion, the Witch, and the Wardrobe would have made my list if I’d just had a few more slots. Wit’ch Fire looks like something I’d quite like. I might give Koontz a whirl too. New Moon was my favorite of the Twilight series, but I was caught off guard by the events in Breaking Dawn, which is always a plus.